While Tokyo's Levitating Girl creates her illusions the old fashioned way—jump, click, jump, click—many prefer to employ the magic of Photoshop. If you're planning on participating in this week's Levitation Challenge [Closed], it's time to get cracking—all entries are due by Monday, May 23rd, 11:59pm PST. Below, 5 tutorials to choose from to get you started. If you're looking to capture the graceful poses of Tokyo's Levitating Girl, check out Quite Curious' elaborate guide to levitation photography. The use of ladders, chairs, cushions, and of course, a little Photoshop trickery, allows for some dreamy, dancer-like poses. Robert's Productions Studios demonstrates the basics using Photoshop, a digital camera, a tripod, and something to sit on. Camera shy? Then capture your pet mid-air. 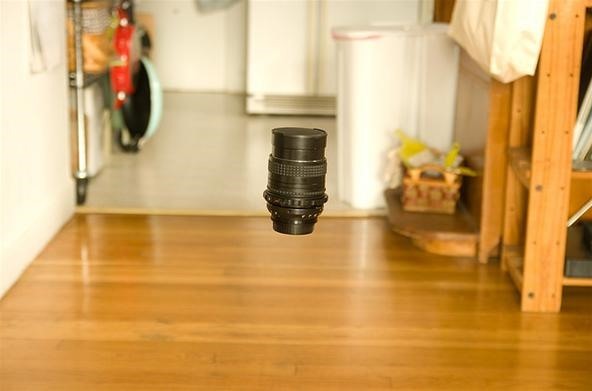 PhotoExtremist demonstrates how to photograph a flying cat using slightly more advanced techniques and equipment. "Several Inches Above the Asphalt" doesn't qualify as a tutorial, but there is something to learn here. The short documentary shows behind-the-scenes footage of French photographer Denis Darzacq working with street dancers in the suburbs of Paris. 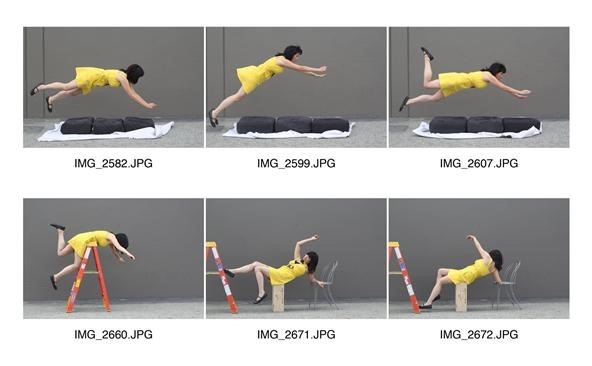 Like Tokyo's Levitating Girl, this method relies on the grace of the body captured in just the right moment. Inspiring results. 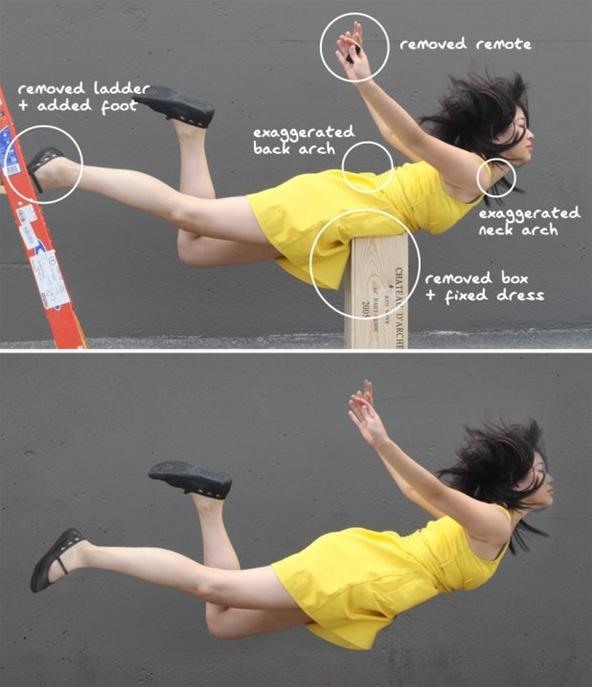 Dr. RawheaD's brief flickr spread takes you through the necessary steps for levitating a simple object. You will need: a chair, a prop and Photoshop.